Estancia Las Rosas, located in the scenic country of Uruguay in South America, is owned by Princess Laetitia d’Arenberg and managed by Olivia Strauch. 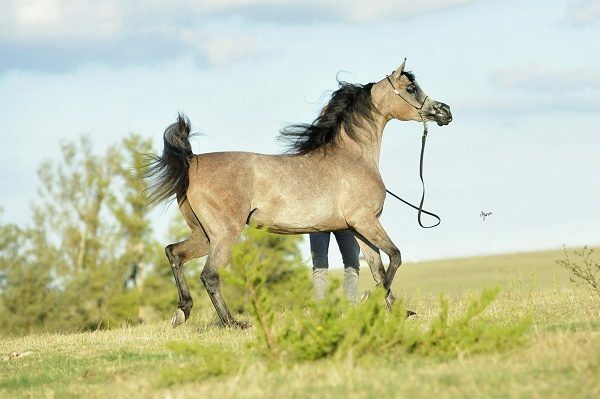 Both ladies are passionate breeders of the Arabian horse, and this year sees a pivotal moment for this beautiful farm. Located in the south of Uruguay, just 100km north of the country’s capital Montevideo, Las Rosas is an oasis set in 3,500 hectares. Here, Arabian horses graze alongside cattle and sheep, and the farm is as famous around the world for its milk and wool as it is in the world of the Arabian horse for the noble steeds that have called Las Rosas home. What began in 1973 as Laetitia’s business has slowly evolved to be the incredible Estancia that it is today – and one where the Arabian horses reign supreme. Such dedication to the breed shows a true belief in the Arabian horse from both Laetitia and Olivia, who has now worked at Las Rosas for 15 years. And in spite of amazing show results over the years, Laetitia and Olivia remain committed to their role as breeders above all else. 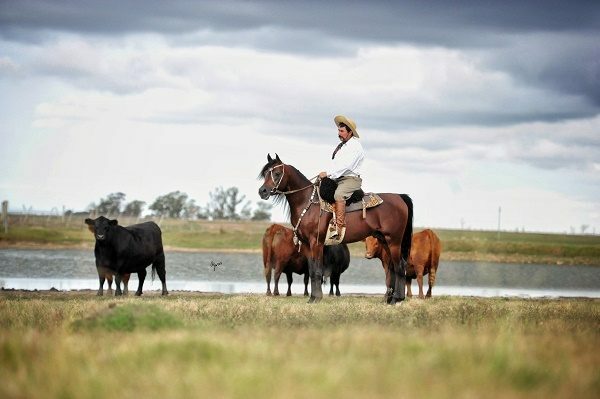 “When I decided that I wanted to ‘work’ with horses when I was 20 years old, I wasn’t completely aware that I was choosing a lifestyle which would define everything,” explains Olivia, who worked for Rodolfo Guzzo first before returning to her native Uruguay and joining Las Rosas. “I was lucky enough to end up at Las Rosas with Laetitia, and with that came an amazing group of people as well as this beautiful farm that has been my home for the past 10 years. Over time, the ideas that I had at the beginning have changed a lot; I guess in the early days, I was probably more motivated about winning. 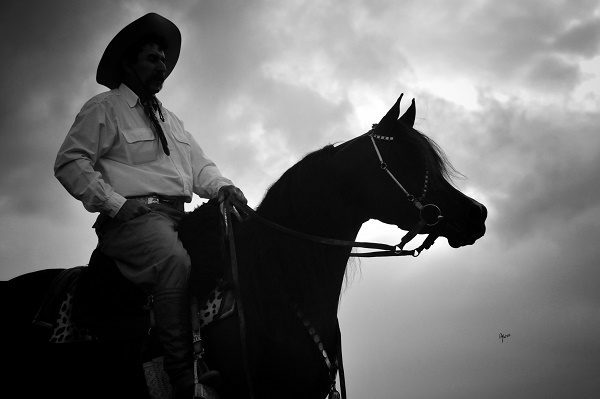 Now, however, it is very much sharing our story with the world through our horses. “The fillies that we carefully bred at the start of our programme are now amazing broodmares, and we have a handful of exceptional mares who can breed something very special indeed. 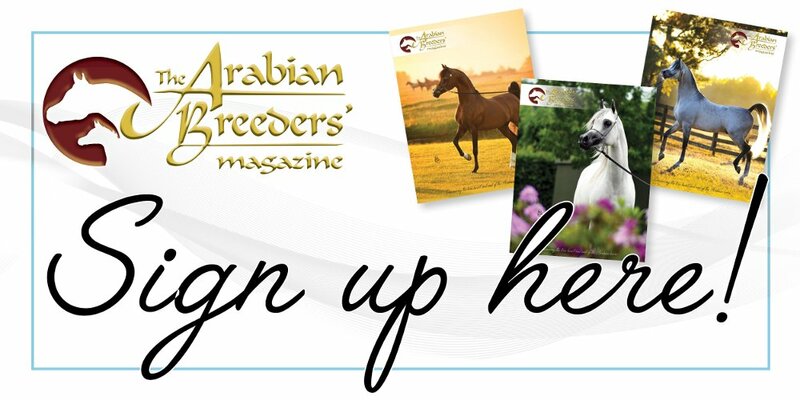 This has always been our plan – to breed our own high quality Arabian horses that could compete anywhere in the world, and to have four or five generations of ‘LR’ breeding. 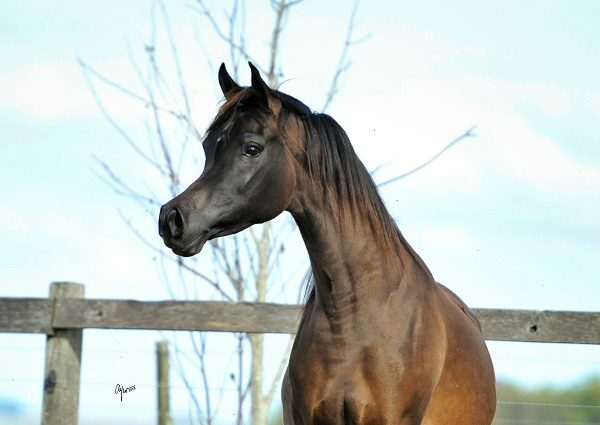 The carefully selected horses that Olivia speaks of include Excalibur EA (Shanghai EA x Essence of Marwan EA) and Dominic M (DA Vinci FM x Rosa La Valentina), two seven-year old stallions who have had a huge influence on Las Rosas. The location of Estancia Las Rosas in, as Olivia describes, “the end of the world” meant that early on Laetitia decided that the best solution was to purchase two young colts to enhance their already successful breeding programme. This year marks a special time at Estancia Las Rosas as the first daughter of Dominic M is due to Excalibur, while two Excalibur daughters are due to Dominic. “We are very much looking forward to seeing the results of the combination of the two stallions that defined our path in the programme for the last four years,” says Laetitia. “Of course, we already know that Excalibur is an excellent producer as he sired LR Era de Excalibur (ex LR Expected Beauty by Shael Dream Desert) for us. She was the 2017 World Champion Yearling Filly, and she represents the dreams and vision that we have long-held for Estancia Las Rosas. 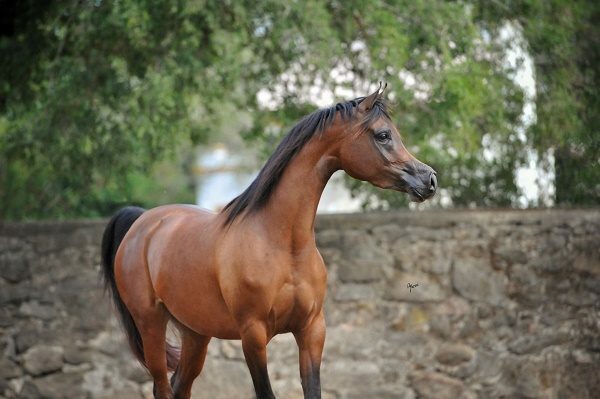 She is now owned by Alsayed Stud in the Kingdom of Saudi Arabia, and she continues to shine. As for the future, both Laetitia and Olivia agree that the next step would be to breed a stallion of global influence. “Winning the World Championship with our homebred filly was amazing,” Olivia explains. “But to breed a truly significant stallion, one that could help shape the world, has to truly be the goal of any great breeder. Everywhere around Estancia Las Rosas is peaceful. From the sheep grazing in the pastures to the cattle gathered together under the shade of the trees to chew the cud. 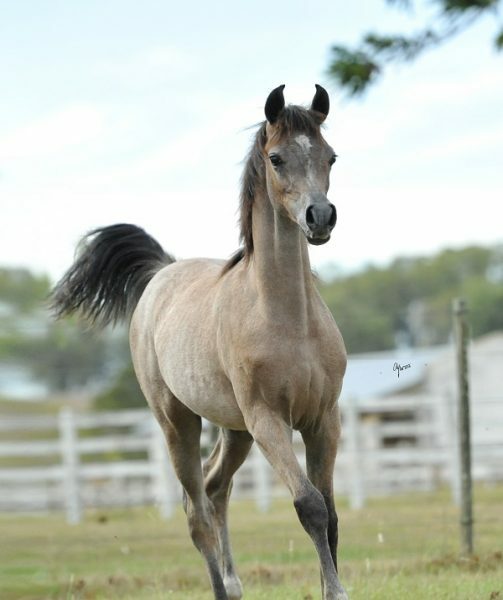 In between are horses of all breeds, but the Arabian horse is truly the heart of the farm. “My dream was to breed fine Arabian horses and be able to share them with the world,” concludes Princess Laetitia.